The decade of the 90s was one of slow recovery where progressive music was trying to find some kind of solid footing in the "biz" again. Considering what the MTV virus (the scourge that ran rampant through the 80s) did to it it's no wonder. Prog was like a star quarterback who'd suffered a severe blow to the head attempting to get his bearings once more in order to simply complete a pass in the flat. I myself considered our kind of music dead as King Tut. I spent most of my time collecting remastered CDs of giants like Yes, Genesis, ELP and Jethro Tull instead of exploring for any signs of life. (PA wasn't around to assist.) Since my kiddos were turning into teenagers at the time I was more concerned about what Marilyn Manson, Insane Clown Posse, Slipknot and the like were doing to their innocent souls. To an extent I tolerated the stuff they were getting into (In the 60s my parents worried about what Hendrix, Pink Floyd and Frank Zappa were doing to my little but absorbent brain, as well) but I monitored how those acts' antics might be influencing their behavior and moral compasses nonetheless. I just didn't trust those guys. What I'm attempting to communicate is that I didn't need to pay too much attention to groups like Radiohead who appeared tame as newborn kittens in comparison. In fact, other than their indomitable "Creep" single, I didn't start listening to their music until a few years ago. I reviewed their debut album back in February (not a bad record at all) and finally gave "The Bends" several spins to see where their aural art went after their initial success ran its course. They start with "Planet Telex." Following a cosmic intro a strong groove develops under a pulsating, tremolo-enhanced guitar. A great mixture of distortion and clarity makes this song alluring while remaining compositionally cohesive and comprehensive from top to bottom. It's a cool tune. The title cut is next and I'm surprised to hear a live "in concert" rendition of a new song on a sophomore album. It has a noticeable brittle grunge quality that's a little unnerving to my senses and too derivative of what Nirvana had been producing earlier in the decade. "High and Dry" is another story altogether. A much quieter tune, it's very welcome at this juncture. It has an intimate atmosphere that displays a different, more mature side of the band. "Fake Plastic Trees" is the high water mark, though. It's a somber ballad that exudes a palpable aroma of melancholy without becoming droll or morose. Thom Yorke's vocal is soft but quite expressive and the traditional organ is a nice touch. "Bones" possesses a straightforward rock beat that drives the number efficiently. However, I find the repetitive chord progression a bit unimaginative. "Nice Dream" is a return to the acoustic guitar-based approach that I've grown to prefer from these boys. I like the fluid feel of the track and the contrasting urgency as portrayed by Jonny Greenwood's electric guitar on the short bridge segment. "Just" is one of those songs that's almost impossible to categorize. It does exemplify how different Radiohead was from so many other entities competing with them for airtime and exposure in the mid-90s. It's a clever and intriguing congealing of contemporary moods and defiant, punkish attitudes. "My Iron Lung" is interesting, too. Their melding of a wide variety of guitar textures adds an aura of mystery to this cut in that you never know when they're going to explode and descend into a noisy, angst-riddled movement. Keeps you on the edge of your recliner. "Bullet Proof... I Wish I Was" is a highlight. It's another sad number but it's augmented by a cavernous soundscape that wraps Thom's voice in a soft cloud that hovers over the track. "Black Star" features a fade-in that culminates in a wall of hard-strummed, chiming chords before settling into a somewhat predictable verse/chorus pattern. "Sulk" is better. Its 6/4 time signature provides a decent change of pace in the overall evolution of the album as it plays through. (Unfortunately that's becoming a lost art.) Yorke's emotional singing adds passion and Jonny's stringent guitar work gives it sharp and threatening dynamics. They also wisely leave you wanting more with "Street Spirit (Fade Out)." I sincerely appreciate the brutal honesty in the songwriting and the un-gimmicky presentation of the final product. It's well-structured and intense without going overboard. 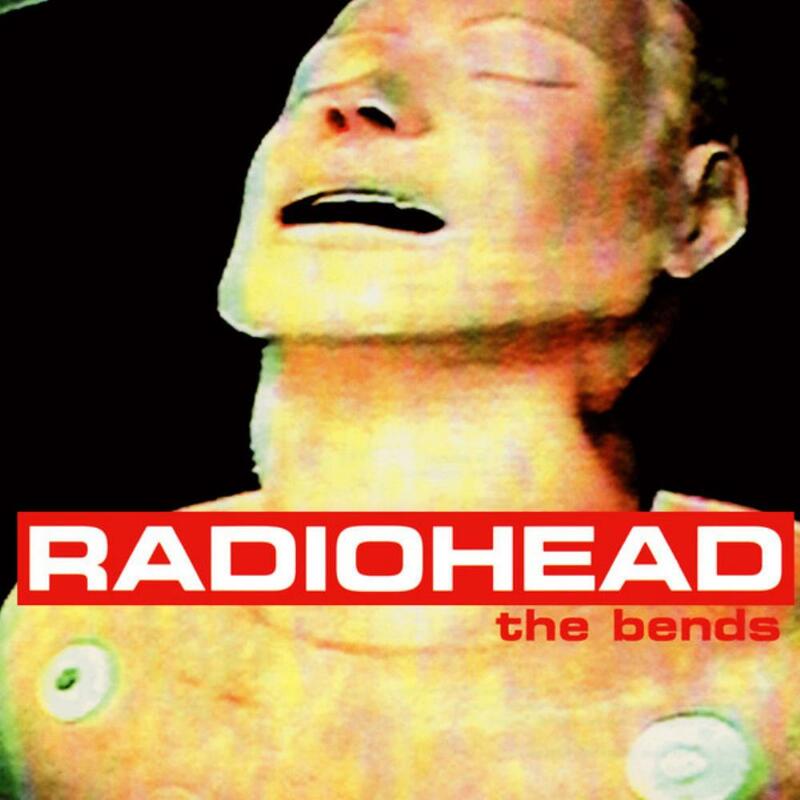 Released in March of 1995, "The Bends" established that Radiohead was here to stay, not some flash in the pan. It really went over big in the UK, reaching #4, while in the US it peaked at a modest #88 on the charts. While it didn't spawn any huge hits on the scale of what "Creep" was years earlier, the album was incredibly influential and played a major role in resuscitating progressive rock and making the genre viable once more. I'm a huge fan of Porcupine Tree and I can definitely hear many of the musical strains I found in "The Bends" surfacing in Wilson's records like "Signify" and especially in "Stupid Dream." I'm getting a better bead on why so many revere this group but I'm still not sold on the one that came after this one. With "The Bends" Radiohead had adopted Nirvana's raucous mien and, while they didn't tone it down all that much, they did take it in a more progressive direction and for that all proggers should be thankful. 3.8 stars.